Life in the design industry can be daunting. The web refuses to stand still. Innovation outpaces even the fastest-moving mind. And every day brings new, must-know tools and techniques to learn. So how do keep up with it all? One entertaining—and work-life balancing—way to do it is to tune into a few key podcasts, because they let you catch up with what’s new while you’re commuting, taking your morning jog, or standing on your head. Of course, podcasts proliferate just as quickly as apps, so here’s a few of our absolute favorites to help you get started right. This “tiny” radio show covers design, architecture, and the almost-totally invisible activities that shape our world. And there aren’t many design-focused podcasts Ira Glass would call “completely wonderful and entertaining and beautifully produced,” so check it out, maybe. This show dives deep into the culture of design and illustration, highlighting individual creatives and their processes, inspirations, passion projects, and more. Adventures in Design makes for a great way to keep in touch with the human side of design. This “quintessentially British” show covers all sorts of web design topics, so there’s something for just about anyone in the industry. Recent episodes have covered the perils of building HTML emails, the trials and tribulations of the web entrepreneur, and what it means to really understand your user. 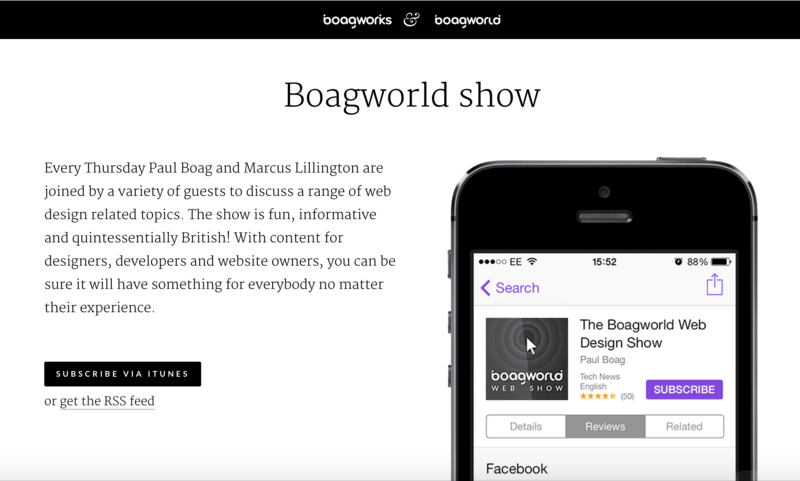 Catch Boagworld every Thursday! This one’s a winner for you entrepreneurial spirits and future startup CEOs. It covers a community of people who build and launch products—plus shares real stats and learnings from those launches. Entertainment + education = WIN. 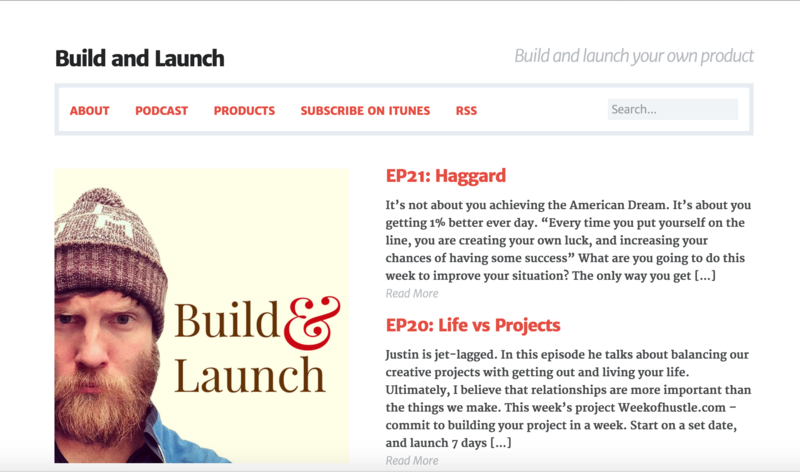 Subscribe to Build and Launch now. If you think designers should be shaping business strategy, you’re going to love Businessology, because it covers the business of design and the design of businesses. You’ll get insights into topics like business plans, the art of onboarding, and how to turn your passion project into a full-fledged business. 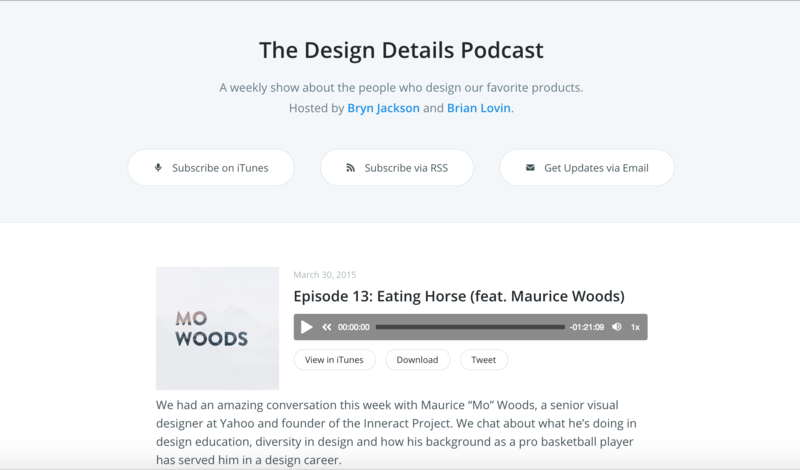 Ever wanted to hear directly from Rdio’s lead designer? How about a BuzzFeed VP? One of Mule’s cofounders? Then Design Details is your jam. 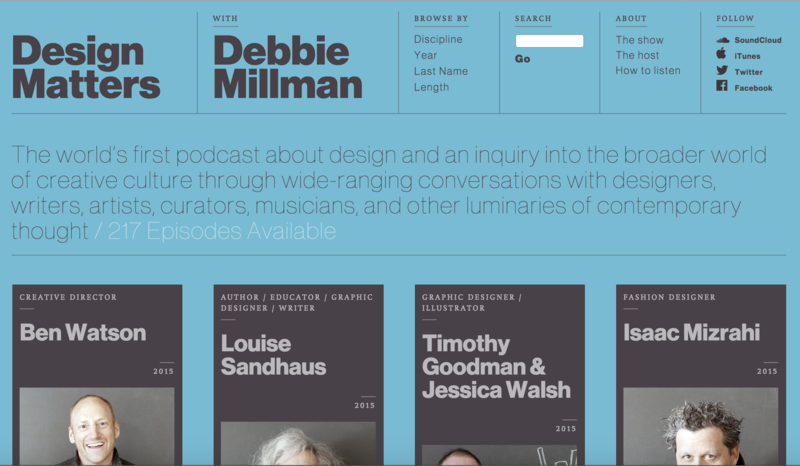 This innovative show ranges much further afield than your average design podcast, featuring over 217 talks with all sorts of creative luminaries, including Isaac Mizrahi, Steven Heller, Louise Fili, and, of course, Debbie Millman herself. A particularly cool feature (for picky sorts like myself) of the Design Matters site is the ability to filter by discipline, so you can hear from a poet, gardener, or typographer, depending on your mood and interests. Iterate focuses on mobile and app design for all the most popular platforms, focusing on super-actionable tips, tricks, and tools to add to your design workflow. Plus, it’ll help you finally figure out what fortnight means (if you’re American). If you know of Let’s Make Mistakes co-host Mike Monteiro, you know what to expect from this one. And if you don’t, episode titles like “Pour-Over Gold-Plated Luxury Turd” ought to give you a clue. 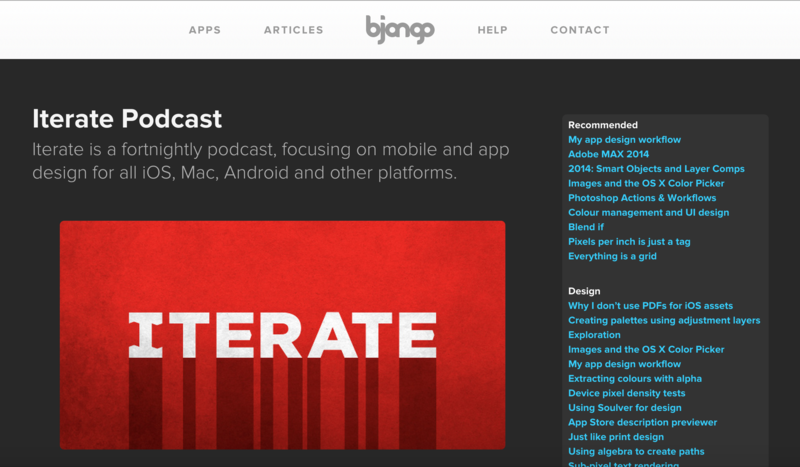 Another podcast led by a couple of web celebrities, Responsive Web Design’s Karen McGrane and Ethan Marcotte take deep dives into how various brands went responsive with their sites. Should give you plenty of ammo for that next debate about whether or not to go responsive. Like the tagline says, Rocketship’s all about how to propel your startup into the stratosphere—and with a topic list including MVPs, self-funding, product dev, list-building, and customer acquisition, it’s pretty comprehensive. With hosts like Dave Rupert and Chris Coyier, it should come as no surprise that this interview-driven show goes deep into the nitty-gritty details of design, code, and content. The Shop Talk Show includes handy link lists so you don’t have to sit there googling every interesting reference. Style guides stand near and dear to most designers’ hearts—while occasionally earning a bit of ire. Every Style Guide episode features a new style guide expert or thinker, so it’s ideal for those seeking diversity and depth in their brand thinking. It’s called Type Radio. Need we say more? There are so many wonderful podcasts out there, we’re sure to have missed a few that are as relevant as they awesome. Let us know which podcasts you love on Twitter @InVisionApp.